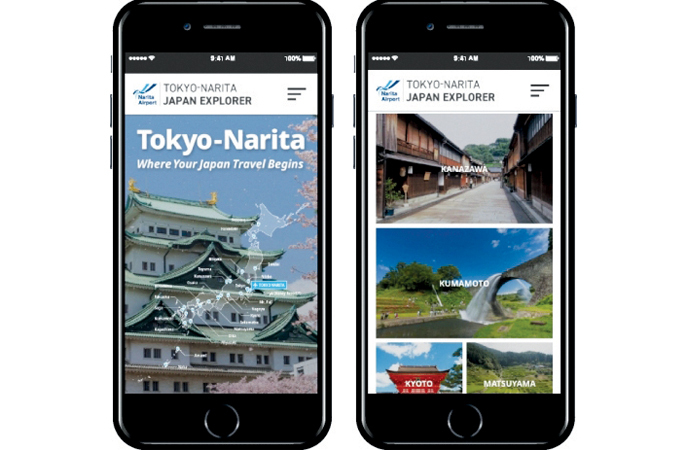 NARITA Airport Authority has launched a new tourist website to provide the ever-increasing numbers of English-speaking overseas visitors to Japan. Designed to help visitors find tourist attractions that are accessible from Narita Airport, the site provides descriptions and access information for locations in the Tokyo region and around Japan that are reachable by air or high-speed bus, as well as information on the Narita Airport Transit & Stay Program. TRAVELPORT has secured a new long-term technology partnership with Rehlat.com, which includes use of the company’s cutting-edge data analytics tool, Travelport Competitor Insights. The agreement will make Rehlat.com, the first travel agency in the Middle East to benefit from the product. Rehlat.com will use Travelport Competitor Insights to benchmark booking performance against the market and its peers. The company will also use the tool to understand current and upcoming travel trends, identify behavioural changes, and explore how these vary across geographies. In addition, under the new agreement, Rehlat.com will continue to utilise Travelport’s open platform and Universal API technology to ensure it has access to the broadest and most current inventory of high-quality travel content and maintains its ability to deliver ‘on demand’ dynamic pricing and micro-segmentation of offers based on individual needs. With over 250 airlines signed up to use Travelport’s unique merchandising technology, the new agreement will also see Rehlat.com benefit from being able to display, gain powerful information around, and sell branded fare families and ancillary products (such as paid seat assignments, baggage fees, priority boarding, etc) from these airlines. YAS ISLAND recently launched its all-new mobile app, which comes equipped with everything visitors need to make the most of their time on the 25 sq km leisure and entertainment hub in Abu Dhabi. The app is available to download for free at the App Store for iOS and Google Play for Android. Users with a registered Yas ID will enjoy access to exclusive offers and promotions from leisure and entertainment venues around the Island. The app is highly customisable, making it a must-have for first-time and returning visitors alike. Offering a tailor-made guide to Yas Island at the swipe of a screen, the app allows users to find activities that match their interests and leisure preferences. The app will also suggest ideas based on users’ location, weather conditions and past experiences on the island, in addition to highlighting offers and promotions, exclusively available to registered users. Visitors in search of inspiration can make use of the app’s Helpful Guides section for sample itineraries or more information on the island’s key attractions, events and dining experiences, including 360 views of Yas Island’s main points of interest.